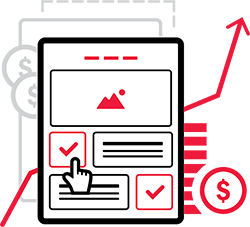 Convert Experts conducts methodological, statistically sound A/B testing to ensure all the change made on your website result in long-standing optimization wins. We suggest tangible, concrete ways to improve your site. But, we never assume our suggestions will just work – we test first! 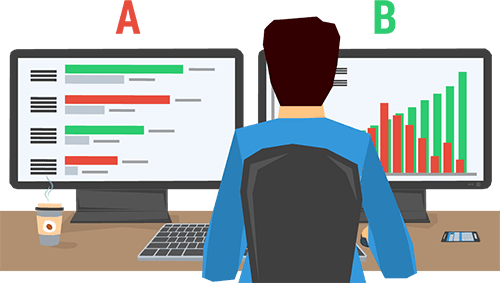 To test, we apply the gold standard of web testing, a procedure called A/B testing (also known as split testing).In A/B testing, two versions, or elements of a website, are shown to visitors. The version that converts better wins; that’s the version that will be implemented on your site. In order to conduct a proper A/B test, much scientific rigor is needed. We follow a smart, data-driven five-step process to ensure all tests we run are accurate, valid, statistically significant, and insightful. Clearly define the testing objective and conversion goal. Decisively identify the problem and formulate a proposed solution. Realistically state the anticipated outcome and how the results will achieve an improved, viable solution. Precisely justify the importance of testing that specific web element. Accurately determine the exact target audience. 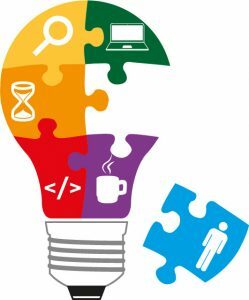 Intelligently apply insights from other tests or best practices to build on the current test. What You Get: You’ll receive a list of the best test ideas, outlined, justified, and explained so there’s no questions on what’s being tested, or why. With the test hypotheses clearly defined, we selectively chose only the best testswith the biggest potential to win. To do so, we implement a well-defined test plan and prioritization schedule. 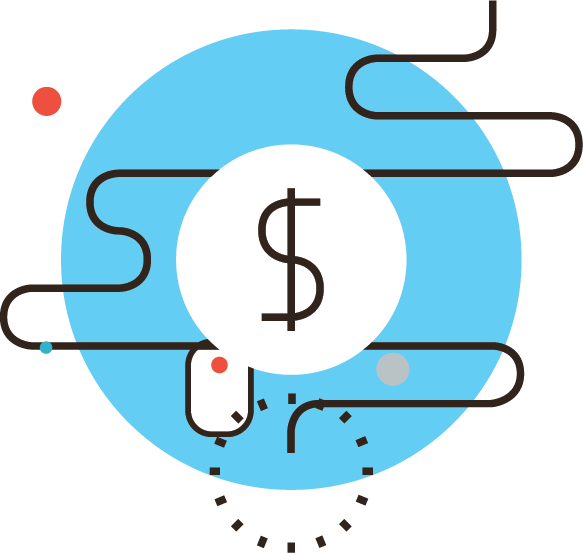 Our prioritization plan acts as a roadmap, suggesting the most important tests to run first, giving you the biggest bang for your buck. Tests are prioritized based on the potential conversion improvement and how realistic it is to implement the suggested change. One-by-one, we methodically rollout the tests, at the right time, taking into consideration factors like seasonality and your customers’ buying cycles. This approach saves you time and money, ensuring only the most impactful tests are run, maximizing your returns. What You Get: You’ll end up with a complete testing roadmap, listing the best suggested A/B test ideas how each test will be carried out, and how long each will take to run. All test ideas and timelines will be detailed in a well-organized, easy-to-follow spreadsheet, with the top test suggestions listed first. With highest priority tests selected, A/B testing is nearly ready tobegin. However, before implementing any tests, we go to great lengths to design, code, and create beautifully designed, well-structured test variants that are highly informed by our conversion analysis research. When put to the test, each variant will be pitted against the original version on your site. The variant may incorporate new copy, an improved design, or an updated structural, or navigational element. What You Get: You’ll receive beautifully designed, professionally coded variants to test against your original versions. With all steps properly set-up, the A/B test is nearly ready to run. We use the top A/B testing software to conduct the tests. While running the tests, we follow industry-recognized best practices to ensure the tests have enough traffic to generate statistically significant results, with a high level of confidence. That way, you can rest assured the test results are completely accurate. As the tests are running, we’ll send you regular updates on results. When a winner has emerged, we diligently work to implement the winning design on your site. What You Get: You’ll regular updates while the test is running and a fully implemented winning design, when a clear winner has emerged. As your site progresses, so to will the needs of your users. To maximize your site’s potential, you can’t take a “one-and-done” approach. Your site must be continually optimized. This approach means consistently testing to achieve the best possible result and generate the highest possible return on investment. Every test done helps generate new data to further improve your site and your revenue. But, it’s important to recognize that not every test will be a winner. Even with our data-driven approach, some tests will perform better than others. For those tests that do win, it’s key to continue to optimize on these results. Continuous optimization is the path to true success. What You Get: You’ll regular updates that suggest the best tests to run and most strategic ways to optimize your site, based on already proven gains. While CRO and A/B testing is potentially very powerful — and profitable — it takes time. To ensure statistical significance, we typically run each test for a minimum of two weeks. Generally, we can run about two tests per month on your site. You can expect to see results within the first eight weeks. And, gains should roll in every month after. 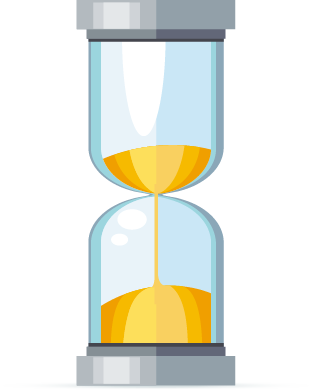 To ensure we carryout the best optimization program possible for you, we require a minimum three-month time commitment. But, because web optimization is an ongoing process, most clients chose to go with a rolling annual contract. Over this time, we’ll work exhaustively to undertake extensive qualitative and quantitative research on your site, develop and prioritize smart hypotheses, conduct scientifically sound A/B tests, and work with you to implement money-making website changes. Although A/B testing is an investment, it’s a value-added service that should, ultimately, pay for itself. To get a quote for our customized CRO program, get in touch. 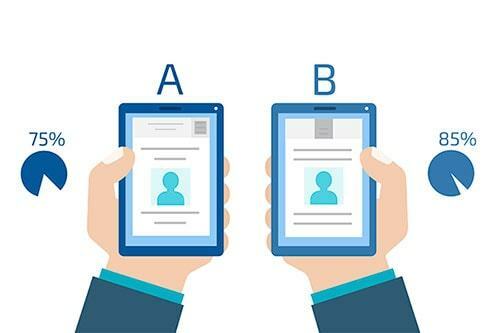 ARE YOU A GOOD FIT FOR A/B TESTING? To get a quote for our A/B testing, get in touch.